I'm new to unity and was thinking about a nice concept of creating levels based on an XML/TXT file. I want to create a grid (underground) from this file. For every X I want to load an area on which it is possible to walk. For every O it should load an obstacle, which cannot be passed. Is this possible to do? Or are there already scripts/implementations which can be used? So I will load also 3D objects according to the marks set. I want to be able to load the underground, holes in the underground, obstacles and also checkpoints. The idea is to extend the levels further on easily. I would not know why it wouldn't work. But why do that when Unity is useful for the graphical development tools it has? This might be more useful when you develop a 2D side scroller in basically any other environment. I hope this will help all you guys for making games with nearly no effort to create new levels. I would also like to thank gajdot who helped me a lot in finding the answer. You can have multiple correct answer as far as I know, why did you remove mine if that helped you to make your solution? Because it was only one part of the solution and this is the whole routine. Also I guess it would be annoying to have to read all our comments. I guess just can accept one answer as correct and in this case it would be this one. I can upvote your answer as soon as I have enough reputation. No. "GameObjec"t is in most cases the most useless type of an object. If you don't have a custom script you may need on your object, the Transform component gives you more control over common attributes (like the position / rotation of the object). So in most cases you want to choose the most useful component of your prefab as reference. Then you Instantiate the prefab, the return value will be the same component that you passed in. Would you be willing to describe the full setup you used here? I am trying to do something similar but add in a height option as well. Any ideas? Unity now has built in 2d capability, so he may need it. It can be done, even though I didn't saw a pre made script for you so you need to create your own one. Basically what you can do like in any programming environment is that you create a script to read a file, and interpret what he reads. You create a small prefab with the obstacle and collider. After this you just go trough the file and hold a value for column and row you are reading from the file and basically you instantiate a prefab(if you have x) on a coordinate based on your value read, something like row*sizeOfPrefab, column*sizeOfPrefab else if you have 0 you don't do anything. 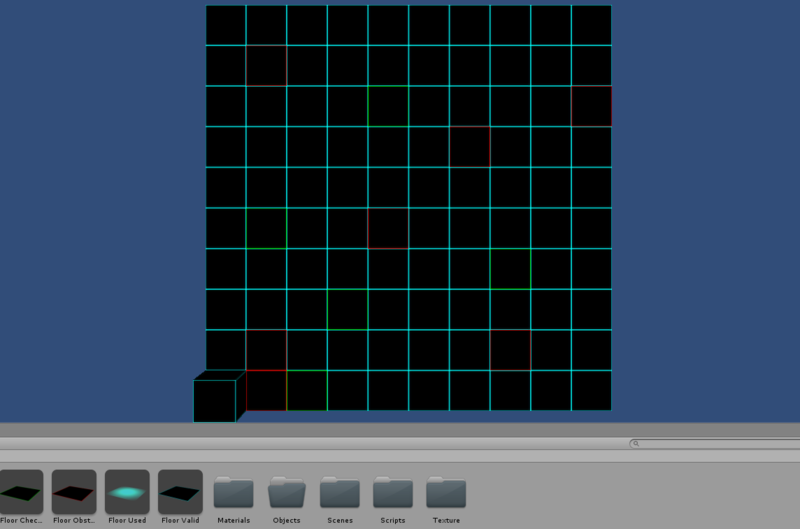 This way you get a nice grid map made up from your prefab. You can go even beyond if you do other values and create other prefabs like wood wall, brick wall etc and you instantiate the specific prefab on the coordinate instead of a general one. If something is not clear please ask, and I'll answer as soon as I can. It's really simple, for beginning, you create a script with two GameObject vars, one for the walkable tile, the other for the collider tile. Thanks for the answers. I will start trying this with a harcoded matrix.